Alongside storytelling performances, Martin offers creative workshops for pupils to stretch their imaginations, play with their own creativity and explore the process, skills and structure of oral storytelling. 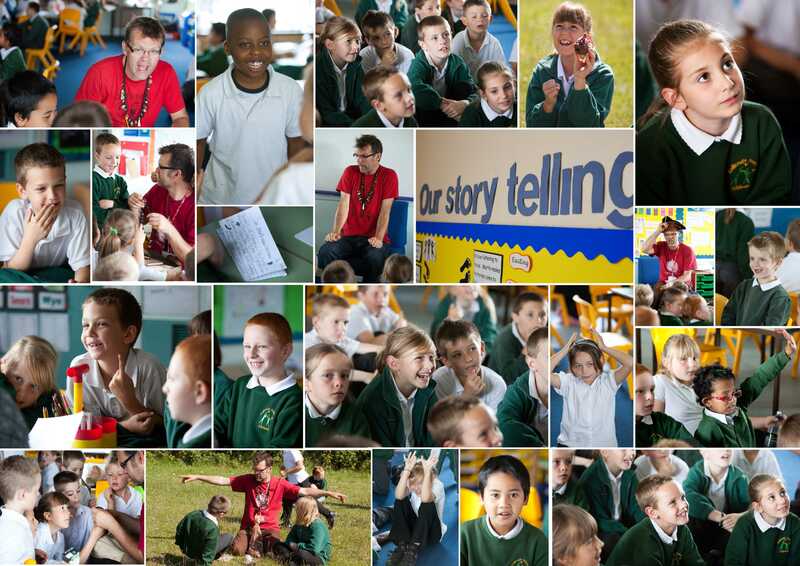 Through the workshops children find inspiration for speaking, writing and sharing their own stories from: personal memories, word-play and creative visualisation as well as using story images, story maps and story boards. He is very happy to work within particular themes. The workshops are specially tailored for each individual group and allow participants to develop confidence and find their own through the process of exploring, making and re-telling stories. The workshops may, or may not, lead to individual or group performances of their storytelling. Martin also runs fun interactive workshops for families and community groups, as well as facilitating regular adult storytelling workshops. He contributes to several higher and further education courses as a specialist tutor in storytelling including: Somerset College, Bath Spa University and University of the West of England. “Thank-you for your excellent contribution to our Navigator leadership programme last week. Your approach was perfectly judged and the workshop was a great success.” Glyn Fussell, Common Purpose.